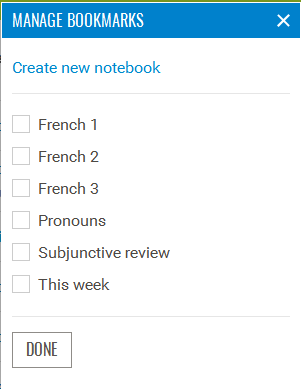 Notebooks give you some control over what you practise on Progress with Lawless French. 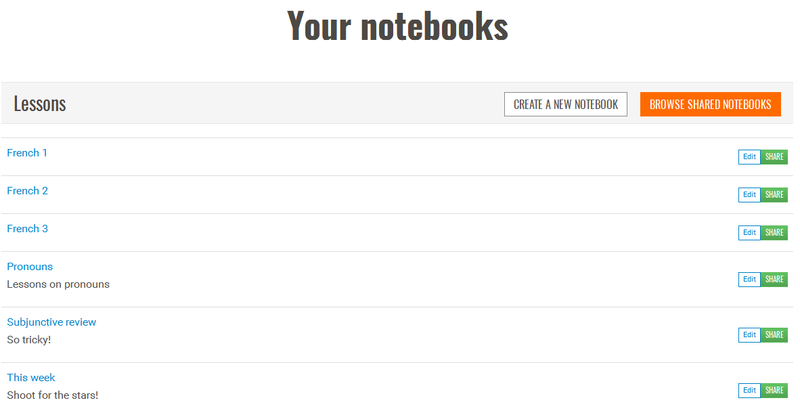 The Notebook acts a bit like your browser's Favourites or Bookmarks: it's a collection of lessons you choose to add to it in order to study and kwiz yourself on them later. Click the title of a lesson to read it. Here, you can create and delete Notebooks, edit their names and descriptions, and even share them with the Progress with Lawless French community.